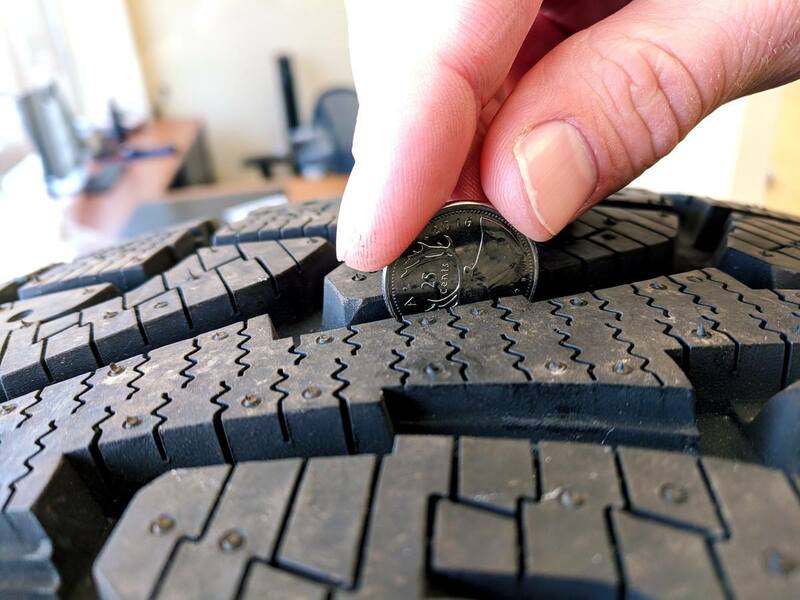 If you don’t have a tire depth gauge, a quick and simple way to measure your tire wear is to use a quarter. All you have to do is to insert the coin in one of the grooves with the caribou facing down. If you see the tip of its nose, it means the tread depth no longer meets 6/32”, so the tire probably won’t last all winter or the equivalent of about 10,000 km. Did you like it? Would you like to see more tips like this one? Got questions? Let us know what you think, we would love to hear!